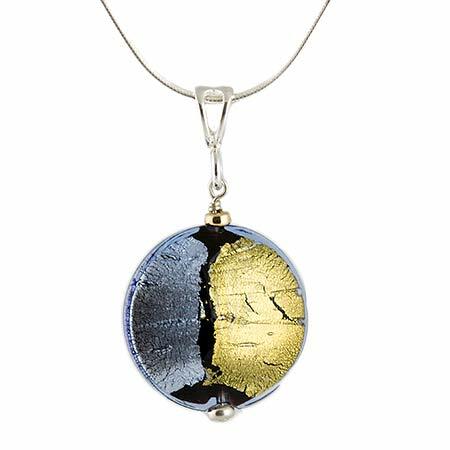 Simple and attractive, this disc-shaped pendant features pieces of gold and silver foil layered over a base of black glass, all of which are then covered with a single layer of blue Murano glass, creating the two-tone appearance. Gold-filled and sterling silver findings add to this fashionable mixed-metal look. Shown here with an 18" sterling silver snake chain. Sold separately.